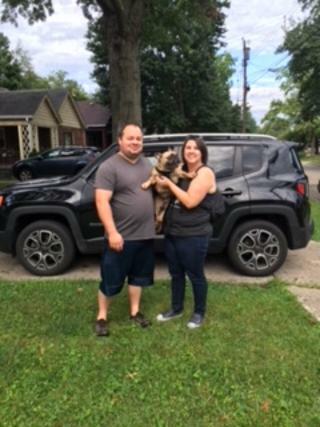 Bruno has moved to Michigan to live out the rest of his life with his new parents, Darci and Ryan. When they came to meet him and take him home, he did great with both of them and was even very submissive with Ryan. He just smiled ear to ear the whole time they petted him and gave him attention. They are a great family and we now that they will give him a great life!! Good luck in your new home, Bruno!